One winner on the blog last week and it is the last time we'll see ROCK ON RUBY on a racecourse. Sad news to hear about him being retired but if it prolongs his life then it's worth it. What a fabulous horse he is and how much he has given to the cause. It was great to see him back to his best for one last time! Had retirement fella! On to Newbury today and the key early Gold Cup pointer race! I'm looking forward to watching what should be a awesome race! He broke a blood vessel in this last year and returns on a mark that is 9lbs lower than last year. He has always been a very smart horse, especially over hurdles. He has lowered the colours of SIMONSIG, DYNASTE and SOUTHFIELD THEATRE. He ran a creditable race behind SMAD PLACE at Kempton last time and is now 8lbs better off with that rival today. Over this extended distance that is alot and he has always enjoyed staying races. I'm sure they will have sorted his jumping out and he is now a 9 year old amd this may be his year as the top chasing horse. You need class to win this race and he has bags of it! SAPHIR DU RHEU is a lovely horse and his trainer thinks lots of him, but to win this with 11st 12lbs and as a six year old? Too much I reckon! BOBS WORTH showed a bit of form last time but I think the old flame for this type of race doesnt burn brightly enough. NED STARK is another that catches my eye. This one's price is shortening all the time! She didn't really run a race last time at Wetherby and she may now be better over the bigger obstacles. However, I'm intrigued that they persevere over hurdles and this slightly longer trip will help too. She's a classy mare and her mark has been dropped by a crazy 10lbs because of her Wetherby run. That's a full 23lbs lower than her chase mark where she has been second to the likes of HOLYWELL, BALDER SUCCESS and UXIZANDRE. Interestingly this is a return to a previous winning hurdles mark of OR134 when she beat SWINCOMBE FLAME over this trip at Warwick. I really fancied this guy when he ran first time out at Cheltenham. He ran well for along way that day and just didn't stay the trip at that pace. He's been dropped 2lbs by the handicapper and also drops in class 2, as well as a three furlong shorter trip. That's a lot of boxes ticked for me, he also has an apprentice taking 5lbs off to give him a great racing weight. If they go positively with him again they not peg him back. Defeated MON SUCCESSEUR at Wetherby on his seasonal debut in a class 3 chase just short of two miles. He steps back up in trip today but he has won at this distance before and he's only been raised one pound by the handicapper for his last win. MON SUCCESSEUR was only just pipped yesterday to boost the form a little and this horse is worth watching! After a crackingweek at Cheltenham last week the National Hunt bandwagon rolls on with the showpiece chase of the day : The Betfair Chase. I always remember how awesome Kauto Star was in this when he won it for the final time, he murdered them in a performance that will always stay with me, he was magnificent that day! Only one winner for the blog last week in COPPER KAY, but she looks like one to follow this year. A few nice handicaps today to watch aswell as the big event. Good luck if you're having a flutter! I've kept saying that this fella has a race like this in him. He's still on a very attractive mark for me and ran ok last time at Cheltenham. He travels really well but they seem to just get away from him. I think this softer ground and the track will suit him and stop that happening. These fixed brush hurdles will test their jumping but my guy is due to go chasing soon and should be able to cope. He is a huge price but is a smart horse and I think today is the day. I also like the chances of DEFINITLY RED, who has decent track form and looked a smart type last year, he made need the run. Didnt do bad in his reappearance and this drop back down in trip won't cause any issues. He has to give 8lbs to Brother Tedd but he is used to doing this and the stiff turn for home will suit my guy better. It's a shame the ground is soft for the returning to form COURT MINSTREL, but I don't think he will go in ground this tacky. This is my heart speaking over my head, however he needed the run big time in the Charlie Hall and he is too big a price for me to ignore. He was second in this race the other year and we all know how much he stays in at times in these marathon trips. 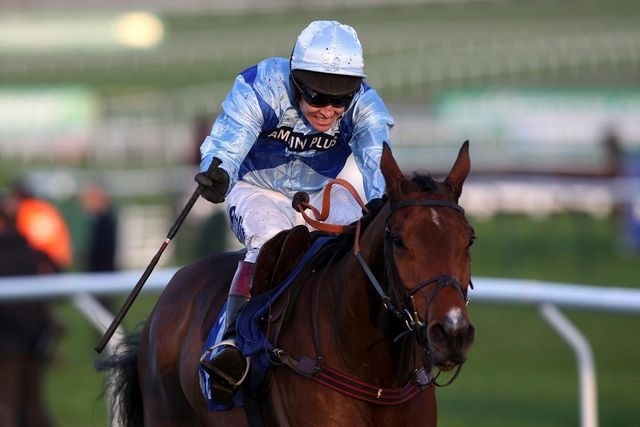 He doesnt like it too soft but his heart and battling qualities will give him a sniff over the final couple of fences. If his jumping is fluid he will be there at the end. This horse looked decent as a novice a few years agobut his jumping let him down. He has got better with that and I'm interested to see how he runs dropped back in trip on this stiffer track. He will appreciate the ground and could do this very easily, or balls it up and fall. I really do love this meeting at Cheltenham, it's the official kick start of thr NH season for me. All of our old favourites and the new pretenders to the throne are out and it will be a fascinating day of racing. My old man gave the blog a winner with NABUCCO the other week, as I continue to misfire! I hoping for a change of fortune today. Sit back and enjoy a cracking day! This guy keeps on improving and the blinkers have really helped. He has been raised a further 8lbs after his comforrable Market Rasen success. He travels well in his races and will appreciate the quick pace of this race I'm sure. His trainer was rather confident of his chances earlier in the week too. He moves like he will love this test and despite him now playimg with the big boys I think there is further improvement in him. Sound Investment is my other one in this, he just keeps giving and he could be the fly in the ointment! What a fab race in prospect! Has always been a decent animal and had two wins from two when joining the Pipe string. He beat REBEL REBELLION at Exeter over three miles on good to soft and that horse franked the form with a win next time. Soll did too beating RELAX again, despite a 4lb pull. He was all geared up for the National and managed a creditable ninth with a broken blood vessel. A sound jumper normally and a smooth mover, I expecting a big show with at least a place. This fella has a decent record around here and despite his long lay off he has a great chance at a huge price! He will enjoy the decent ground and he stays very well. He was on my tracker for last year but was injured and he stays on my tracker this year. He'll definitely come on for the run but I think he has a great chance of outstaying them up the hill. This horse is well bred and related the smart Copper Bleu. She has two decent succeses sandwiched between a creditable fourth in Sandown's Listed race. She comes here with a run and a smooth victory in the bag and I'm expecting more from her. Today really sees the National Hunt season kick off in earnest with the Charlie Hall Chase at Wetherby plus a decent supporting card at Ascot. Most trainers will be happy with the rain that arrived over the past few days although I'm not sure it will have done my old favourite Holywell any favours in the big race. Lots of old favourites are running today and as always at this time of the season most of them need a run in them. As before I'll have a head to head battle with my dad over the NH season, him being a jumping fan like me. Sit back and enjoy the action today. This horse goes really well fresh and will love the ground. 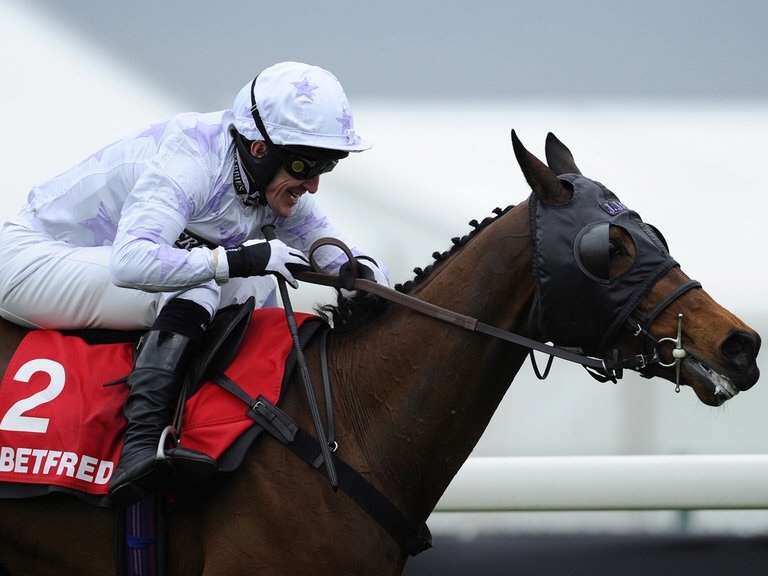 He ran some cracking races last year; winning the Murphy Chase at Cheltenham carrying 11st 10lbs on soft ground. He then beat MEDERMIT and MA FILLEULE at Aintree off a mark of OR156. He proved (to me at least!) that he was a top class staying chaser in the Lexus when he just didnt quite get the trip that day. I'm hoping Sean Bowen will bounce him out from the front here at Wetherby, he may need a sterner test than this three miles. Eight year olds have a decent record in this and I'm hoping of a big run. HOLYWELL knows it's the Autumn and would prefer better ground, I think DYNASTE is the danger. Will love this ground and won this easily last year. 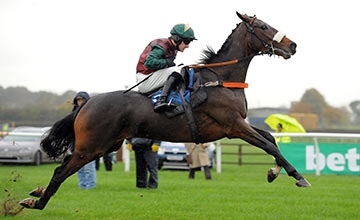 He is carrying a stone more in weight but he's a high class hurdler in this ground. I'm expecting another dominant run and 5-1 is huge for me! This guy has been knocking recently and again the ground is key. My only doubt is the trip but he did start his novice chasing career over this distance and won a few. He ran well last time and I thought the jockey should have gotten him nearer but saying that he probably needed the run. Today is his day. The old favourite returns! The question mark against him today is his stamina. I don't think this will be an issue; he has been caught for pace recently in the hot races he used to win and non of these plodders will have that change of gear. Class is class and I think he'll stay and win this well. Staying hurdles will be his arena this year if he does.